After having been on a plane all night, I arrived at the hotel, took a shower and got up on stage to give my presentation (which might also explain if my recollection of the speakers above isn’t a 100% correct). It went down well, and the crowd seemed to be very focused and interested in all the talks and what was going on. After lunch the afternoon was dedicated to hacking away on whatever people were interested in, and I noticed Jorge was hosting a big group directly on Add-ons. The other crowd bringer was the Boot to Gecko part where I and Philip demoed B2G phones and showed how they could hack around with things, and we were later helped in an excellent manner by John Hammink (working with QA for mobile). People stuck around for a good time after the event was actually finished and were really dedicated, so that made me really happy! Overall, a very successful event and a great start to our tour! In the evening there was a pre-party before the MozCamp event, and poor Jeff Beatty (who looks more Swedish than I do) were walking through the streets of Buenos Aires in the Firefox costume, greeting people and children alike. After 8 blocks or so, finally at the venue, he was drenched with sweat. That evening ended with a special moment for me, having a revelation about what I spend my time doing: Why I Do What I Do. The good parts were hanging out with an awesome and excited community, and the hallway talks and general mingling. The less good parts were, from what I heard from people, not any proper food to eat during the event, just small snacks/dishes. Personally I think they were tasty, but I see their concern. WiFi access was also really bad. I have to say, though, that the speaking itself at MozCamp for me was the low point of this tour. And the reason for that is that during my talk (my slides from MozCamp) there was about 20 people altogether (at least a third Mozilla employees), with maybe 4 of them actually looking at me – the rest of them were deeply entrenched with their laptops. And this wasn’t just for my talk, this seemed to be the norm for all the talks in the technology track (I can’t say for the other tracks). The problem here is that while you have those 4 dedicated persons, the rest of them are, at best, listening with just one ear, only looking up at times. Personally, I’m used to giving a lot of presentations, so having people less interested or occupied with other things is something you get used to; but if only a minority of the people actually pay attention to you, your presentation will not be as engaged and lively as it would be with people taking part. And imagine people not used to giving talks (both Mozilla people as wells as community members): if this were to be their first speaking experience, I’m sure a majority of them would refrain from doing it again. And that’s far from what we want. For me, I think I could have used that time a lot better, and we’ve also had an internal e-mail discussion about this and Kevin Dangoor also blogged about it in The Two-Way Conference (MozCamp and more). Where I agree with Kevin is that a MozCamp with presentations is mostly just about preaching to the choir, people who are already onboard and share the same values. For future MozCamps, I’d rather see short presentations or just open discussion forums where people can delve into the details of things. Another great event to build community and relations was that Gary Kovacs, Mozilla employees and community members met early Sunday morning to play football. Just looking at the smiles on peoples’ faces and seeing which people spoke to each other who normally never would, it was a very successful event! 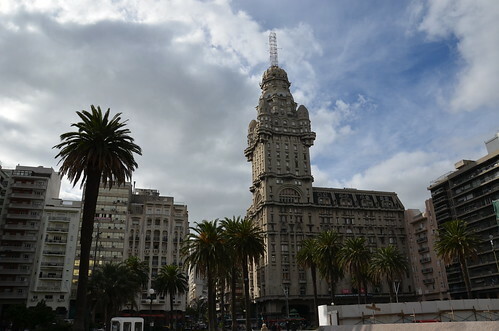 Last day, Kevin Dangoor and I had a very nice walk around Buenos Aires, looking at Evita’s grave and other things before it was time to leave. 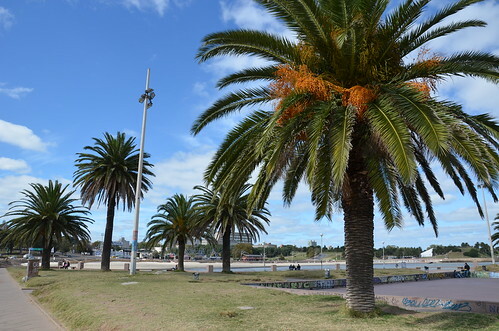 Had a decent sleep, and then me, Shane Caraveo and Victor Prasad had a good walk around Montevideo, and then later met up with Shezmeen Prasad and Dan Mills for lunch, followed by some sightseeing together. The MDN event was held at Café la diaria, a local place with a lot of chairs, a bar and a small little stage with the slides projected directly on the wall – felt like a mix of old-school and stand-up. We had a lot of help from local company Cubox and Evan Henshaw-Plath, which I’m sure contributed to both good organization and high attendance level. The event went down really well, and from what I understood with the little Spanish I know, Nicolas Barrer gave a talk that was both entertaining and full of good information, which was really appreciated. Overall, a really nice vibe in Uruguay and exciting talks with the developers there! Being Swedish, as opposed to my American friends on this tour, I didn’t need a visa to go to Brazil. Therefore, the next leg of the tour, helpfully organized by local company Caelum, were to be a Mozilla one-man show from me giving two talks in Sao Paulo. But before that, Fábio Magnoni and Clauber Stipkovic met up with me and we had a nice lunch together. 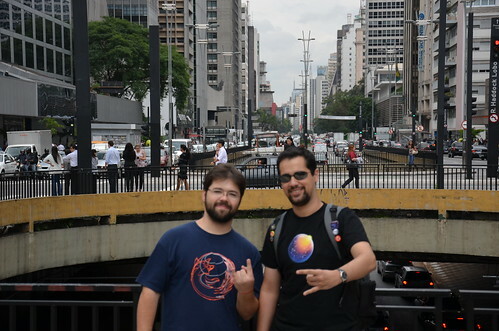 After that, Fábio took me all around Sao Paulo and the number of places we crammed into seeing in one day was impressive! 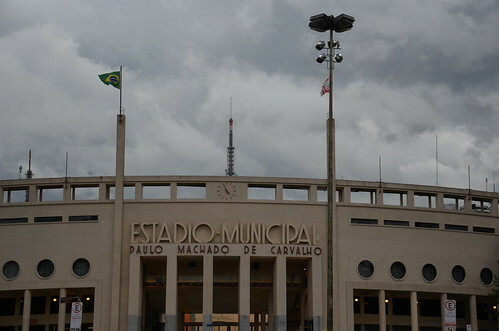 One of the highlights was going to the Estádio Municipal Paulo Machado de Carvalho and the football museum where we, amongst other things, got to see the shirt Pelé wore when Brazil won the World Cup in 1970. In addition to that, local developer Gabriel Oliveira spoke about CSS3, and from what I could understand, he showed some really interesting things! There were about 40+ attendees this very rainy night in Sao Paulo, and while there weren’t many people, I was really happy to see the nods of approval in the audience during my talk, when I expressed Mozilla’s values and approach to the web and moving forward. After my presentations, we stood around for a long time discussing the web, -webkit prefixes, H.264 support and more. People seemed to be understanding and pragmatic, and I believe there were some really talented people there. Meeting up with the team again in Chile, we spent Saturday with my local friends Rodrigo Ayala and his girlfriend Paulina, that I met first time during my last visit in November, speaking at the StarTechConf. Joining us wereHernán Rodríguez Colmeiro and Shane Caraveo, and later on Victor Prasad met up with us. It was a great day with lots of fun, where we got to eat lunch with lots of interesting local dishes at the El Rincon de Los Lanallas restaurant. We also walked up the small hill in the city named Cerro Santa Lucia, and had a great view from there! The evening event was held at a local university and there were maybe 50 people there. Good event, and the time and effort that had gone into preparing the lightning talks was impressive! 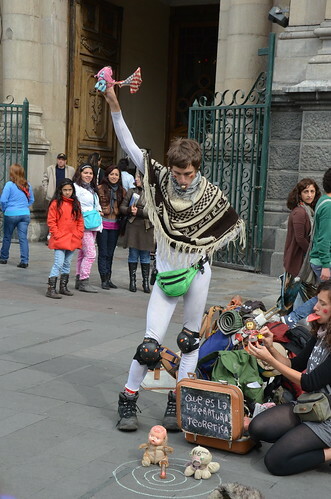 I’d also like to say that Hernan gave a really good talk and interacted quite well with the local people. I’d love to see us work more with him, as an Evangelism Rep or employee of any kind. 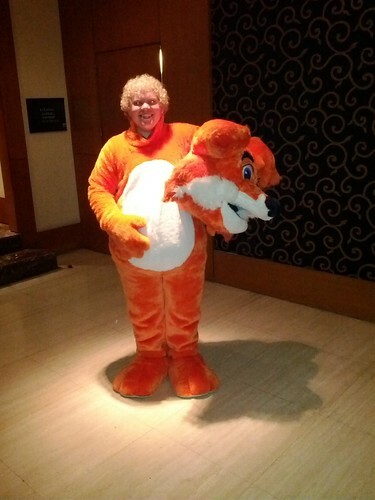 He used to be an intern for Mozilla, and I do hope we will move forward to some kind of future collaboration. First of all, I’m so happy to see all team members and speakers I traveled and worked with during trip be so happy, dedicated and engaged all the time! Except for the speakers mentioned above (Shane, Dan, Kevin), Shezmeen Prasad and Havi Hoffman worked so hard on organizing everything and making it happen. This was the first MDN Tour approach that we tried – something I suggested a few months back to to utilize time and effort for maximum results – and I think it worked out quite well. When you are in a certain region, it makes so much more sense to travel around and do a few local events than spending the majority of our time on airports and planes just for 45-minute presentations and then go home again. It also meant that we didn’t have to sit through days of conferences (which can be good at times, don’t get me wrong), but instead having our own focused event to build relations and community. And we got better and better at our own presentations, dealing with common questions and getting new input from new places. All in all, it was a great experience, and my biggest thanks to everyone who made it happen and to all those wonderful persons I met! Thanks, and thank you for the great company! Hi, Robert. Nice to read that you enjoyed all your trips. Bad to note how the conference at Argentina turned up. Couple of days ago it was the JSConf here in Argentina and I actually didn’t notice the same pattern; not many people took their laptops and those used them outside talks. 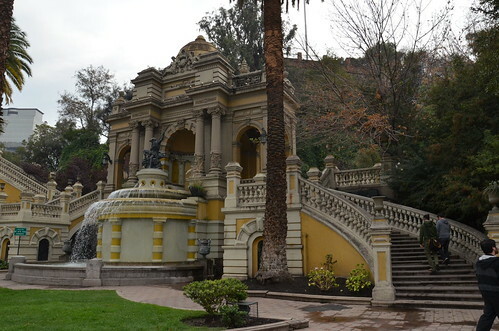 1-6: Paseo La Plaza, full of restaurants and some small theaters. 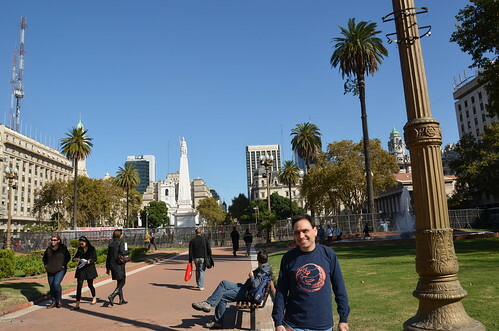 23-32: Plaza San Martin and then Recoleta. Glad you liked the read! Also, happy to hear that it worked differently at JSConf and that people were more engaged (also, the Hack Day in Argentina was great – this phenomenon only took place at the MozCamp). Thanks for the tagging, I’ll update the pictures! Also, I was very surprised both in BA and in Zagreb at the Balkans events how much of our basics is unknown. Like, who’s that Mitchell (ugh), or, no, you don’t do b2g native apps, you do web apps. They sure are converted, but there’s lots that just makes sense to be repeated in person. It’s a good point about level of English knowledge. Funnily enough, though, I can say that the people paying attention in my talk were those with lesser knowledge of English. 🙂 But yes, it is an important factor. And I do agree, we should not take too much for granted that people know about the Mozilla history and structure – even if some know, it definitely deserves repeating.